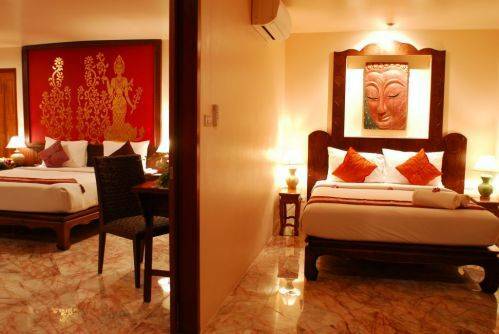 This Koh Samui resort has absolute privacy, comfort, and style. Featuring infinity swimming pools, panoramic sea views, and a fantastic hillside location, our Koh Samui dream houses and tropical villas provide the ultimate holiday experience. 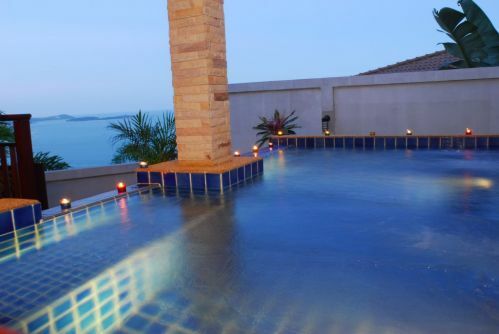 This Koh Samui Spa resort is ideal for families, weddings, honeymooners, or just celebrating life with friends. Each of our villas combines modern comfort with traditional thai charm and features a balcony or terrace with breathtaking views of the surrounding coastline. 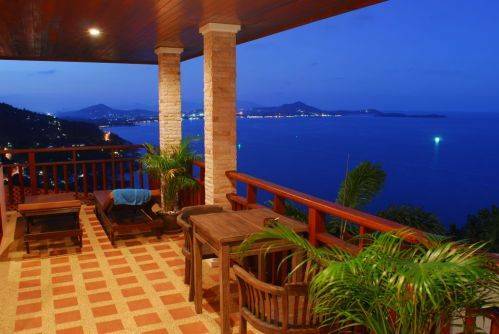 Resort provides some of the most exclusive luxury villas in Koh Samui for vacation rentals on the island. 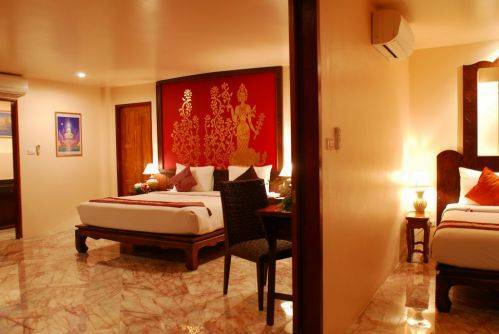 This Koh Samui resort has absolute privacy, comfort, and style. Featuring infinity swimming pools, panoramic sea views, and a fantastic hillside location, our Koh Samui dream houses and tropical villas provide the ultimate holiday experience. 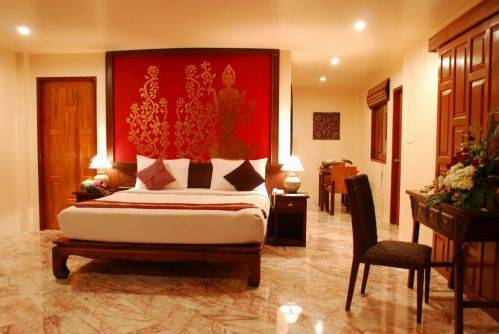 The 2 distinct villa areas are composed of 5 villas each, and 1 swimming pool. Camellia has its own private pool as well. In the south villa area, Orchid and Gardenia share one villa building, and Jasmine and Plumeria share. Lotus, our flagship villa stands alone. In the north villa compound, Amarin and Camellia share our largest and most prominent villa building, each villa having 2 bedrooms and 2 baths. Malee and Jumpee share the other villa building both overlooking the pool. Leelawadee stands alone at the northern most point of the property. Restaurant overlooking Chaweng Bay is proving to be a special place that's described as, "Cool, calm and cozy." Mediterranean Cuisine , Popular grill and bar overlooking a scenic bay. International & Thai Cuisine, Beachfront location, superb food and wxcellent sericer are the reasons why. Brazilian Cuisine, Totally unique Brazilian barbecue and huge salad bar complemented with exotic samba dancers and lively latin music.